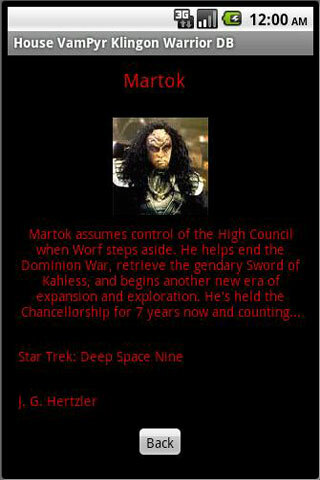 Updated Klingon Warrior DB Fixed Scrolling Issue. 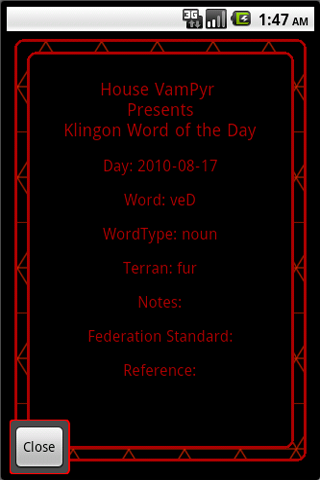 The Klingon Warrior DB have been updated again. This release fixes a scrolling issue. 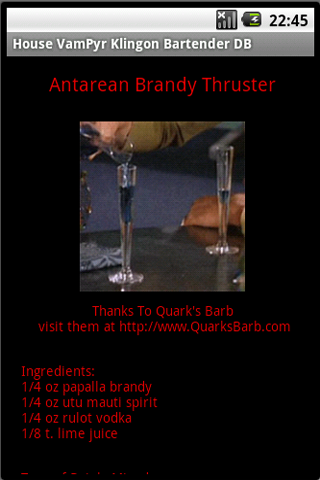 Updated Klingon Bartender DB Fixed Scrolling Issue. The Klingon Bartender DB have been updated again. Another Android Fart App…. the Blue Bunny Fart Sounds.. a Random fart app. 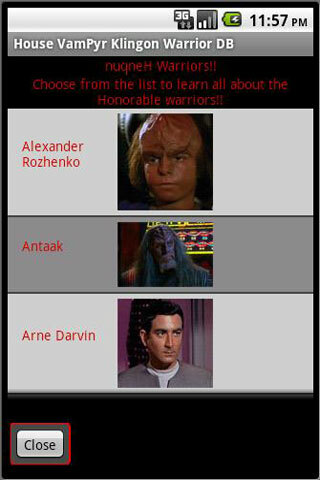 Ok this is a good first try at coding for the android and a fun android app too. 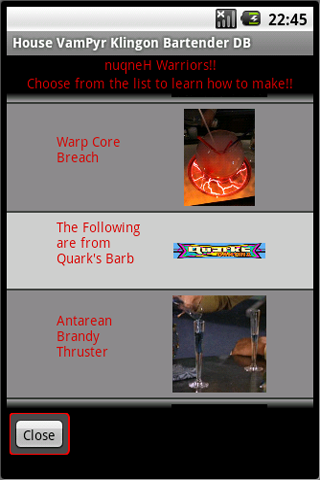 Welcome To Random Android Apps! Welcome to Random Android Apps. This is my exploration into the Android World.